Scotch, mugho, Austrian Pine; also present but seldom damaging on Eastern White Pine, Norway Spruce, and some other conifers. Scale covers are about 1/8" long, white, elongate, narrow in front and broad in back. Eggs under the scale covers are purplish in color. Crawlers and settled nymphs are reddish brown. Females are reddish in color beneath the white scale covers. The hatching period is relatively short (7-10 days) in mid May and again in mid to late July. The first generation crawlers settle on old needles, since new growth is not fully developed until later. Second generation crawlers settle primarily on the current year's growth. Females produce 5-30 reddish purple eggs. Although the number of eggs laid is relatively small, two generations a year permits rapid buildup of infestations. In areas where infestations are large, lady beetle (especially the twice-stabbed lady beetle) is an effective predator. Sprays are effective if applied after most eggs have hatched. Experience has shown that treatments for the summer generation may be more effective than the first. Control may be applied at either time. Pine needle scale can be a serious pest of Christmas trees as well as ornamental trees and shrubs. Crawlers are blown by the wind and can be carried on birds. PLANTS ATTACKED: Maples and dogwood primarily, but also many woody ornamentals. DESCRIPTION: Heavily infested plants will have large numbers of scales on the branches and twigs. Large numbers of feeding scales will reduce the amount of nutrients reaching the leaves and will cause them to turn yellow and fall prematurely. Scale insects feed on plant sap with their long thread-like mouthparts (stylets), which are six to eight times longer than the insect itself. Feeding by scales slowly reduces plant vigor. Heavily infested plants grow poorly and may suffer dieback of twigs and branches. Occasionally, an infested host will be so weakened that it will die. IDENTIFICATION: During the winter the cottony maple scale is in the immature stage and is small, oval and flattened in shape, and pale green in color. During the warm temperatures of spring, the scale reaches maturity and, by late spring, the brown, elongate scale has a characteristic white, cottony egg mass attached to it. LIFE HISTORY: Eggs are laid in April and June and hatching occurs throughout the early summer. Crawlers settle on leaves and stems. Male scales complete development by fall and mate with the immature females. Before the leaves drop from the trees, the female scales migrate to the stems and twigs to overwinter. In spring the female reaches maturity and lays a distinctive cottony egg mass. There is one generation per year. CONTROL: Crawlers are usually out between June 5 and June 25 in Virginia. Treat June 10 and 20. Adult scales are protected from insecticides by waxy coverings. Control measures, therefore, must be aimed at unprotected immatures, called crawlers, which are only out for a short time. Dormant oil can be applied to the overwintering stages in late spring before new growth starts. During the growing season, when dormant oil cannot be used, insecticide treatments must be timed correctly to eliminate the crawler stage. See the Virginia Pest Management Guides for specific insecticides for control. Care should be taken when applying insecticides, because they may deplete the number of natural enemies that normally control the pest insects. REMARKS: Cotton maple scales are heavily fed upon by natural enemies and, in some cases, chemical controls are not needed. English Sparrows, feeding on the scales are thought to be important in reducing populations. This scale is sometimes confused with Maple Leaf Scale, which produces its egg mass on the leaves. The Cottony Maple Scale produces its egg mass primarily on the branches and stems. Adult - Because many species of leafhoppers look alike, entomologists studying these insects must rely heavily on examination of internal genitalia structures, as well as external morphological characters, to distinguish the various species. The mature potato leafhopper is about 3 mm long, wedge-shaped, and winged. Generally greenish, it has very small, yellowish, pale, or dark green spots, and readily jumps when disturbed. Egg - About 1 mm long, the egg is elongate and whitish. Nymph - Several nymphal stages exist, all of which are wingless and smaller than the adult. Though paler, the nymph is colored similarly to the adult. Distribution - During the summer, potato leafhoppers are found from the Atlantic coast to the Rocky Mountains. They are absent throughout most of the winter which they spend in the Gulf States. Northeastern and midwestern states suffer the greatest forage loss from this pest due to the concentration of alfalfa and clover in these areas. In North Carolina, these leafhoppers are widely distributed during the growing season on peanuts, hay and pasture crops. Host Plants - This leafhopper feeds on more than 100 cultivated and wild plants, including bean, potato, alfalfa, soybean, and peanut. In North Carolina, peanuts are more seriously affected by this pest than are forage and pasture crops. Damage - Nationwide, the potato leafhopper is a very injurious pest of forages, particularly alfalfa and clover. Both nymphs and adults feed on the undersides of the leaves. By extracting the sap, they cause stunting and leaf curl, as well as the condition called "hopperburn." This disease is caused by the injection of a toxic substance. It is characterized by a yellowing of the tissue at the tip and around the leaf margin which increases until the leaf dies. Symptoms are sometimes confused with drought stress. Life History - Potato leafhoppers winter in the Gulf States and migrate northward in spring. They arrive in North Carolina in early summer. After mating, eggs are laid inside the veins on the underside of leaves. A female leafhopper lives about a month, producing one to six eggs daily. Eggs hatch in about 10 days, and the nymphs mature in about 2 weeks. Mating occurs approximately 48 hours after maturation. Three or four generations are produced each year in North Carolina. When populations become severe, insecticides are the only practical method of leafhopper control. Aphids, or plant lice, are small, soft-bodied insects which are common pests of nearly all indoor and outdoor ornamental plants, as well as vegetables, field crops, and fruit trees. There are hundreds of different species of aphids, some of which attack only one host plant, while others attack numerous hosts. Most aphids are about 1/10 inch long, and though commonly green and black, they may be gray, brown, pink, red, yellow, or lavender. A characteristic common to all species is the presence of two tubes, called cornicles, on the back ends of their bodies. The cornicles secrete defensive substances. In some species they are quite long, while in others they are very short and difficult to see. Aphids feed in clusters and generally prefer new, succulent shoots or young leaves. Some species, known as woolly aphids, are covered with white, waxy filaments which they produce from special glands. Life History: Aphids have unusual and complex life cycles which allow them to build up tremendous populations in relatively short periods of time. Most species overwinter as fertilized eggs glued to stems or other parts of plants. Nymphs which hatch from these eggs become wingless females known as stem mothers. There are no males present at this time. Stem mothers reproduce parthenogenetically (without mating), and their eggs are held within their bodies until they hatch so that young are born alive. All offspring are females which soon mature and begin to reproduce in the same manner. This pattern continues for as long as conditions are favorable. A dozen or more generations are typical in Virginia. Periodically, some or all of the young develop wings and migrate to other plants. Some species always settle on the same type of plant; others have one or more alternate hosts. With the return of autumn's shorter days and cooler temperatures, a generation appears which includes both males and females. After matting, these females lay the fertilized eggs which overwinter and eventually hatch into stem mothers the following spring. Aphids are in the order Homoptera, Family Aphididae. Damage: Aphids feed by sucking up plant juices through a food channel in their beaks. At the same time, they inject saliva into the host. 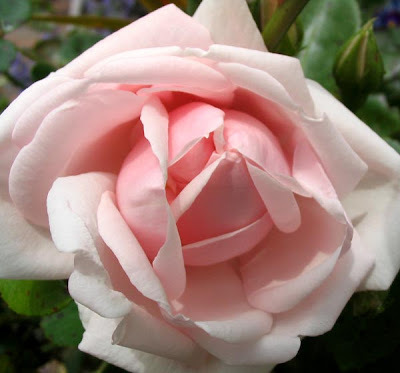 Light infestations are usually not harmful to plants, but higher aphid populations cause leaf curl, wilting, stunting of shoot growth, and delay in production of flowers and fruit, as well as a general decline in plant vigor. Some aphids are also important vectors of plant diseases, transmitting pathogens, particularly viruses, in the feeding process. A distinctive feature of aphids, as well as some scales and other bugs, is the production of honeydew. Honeydew is the clear, sticky dropping that lands on the leaves or anything below the plant or tree that aphids are feeding upon. A sticky glaze of honeydew may collect on lower leaves, outdoor furniture, cars, and other objects below aphid feeding sites. Honey dew coated objects soon become covered by one or more black or brown fungi known as sooty molds. Crusts of sooty mold are unsightly on man-made objects, and they interfere with photosynthesis in leaves. Colonies of aphids are sometimes protected by certain ants. In return for this protection the ants are allowed to collect the sweet honeydew. In most cases, the ants protect aphids that have already established themselves on the plant and these aphids or their eggs and keep them through the winter in their nests. In spring, the ants transport these aphids to food plants where they protect them from enemies and at intervals transfer them to new feeding sites. Recognition: Unthrifty or stunted plants and plants with curled or deformed leaves are likely to have aphid infestations. Feeding aphids usually occur in clusters on succulent shoots, under leaves, or in other suitable feeding sites. The presence of honeydew or sooty mold is often an excellent clue that aphids are present. Plants should be examined closely on a regular basis to detect aphids before damage is evident. White Pine Aphid. Black or gray with long legs. This is a common pest of eastern white pine. 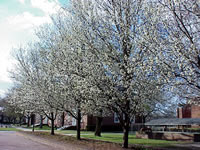 Severe infestations reduce the growth and may even kill small trees. Colonies occur most commonly on twigs and stems where the bark may be killed in patches. Needles and twigs are sometimes completely covered with sooty mold. Eggs, which are laid in lines on the needles, may hatch when infested white pines are brought indoors for use as Christmas trees. Rose Aphid. Green or pink with black legs. 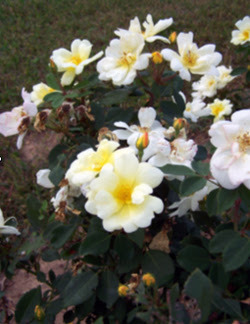 A widespread and common pest of all cultivated roses, this species may also damage pyracantha. Stems, buds, and young, tender leaves are injured. Giant Bark Aphid. Ash gray with black spots. Nearly ½ inch long including the legs, this is our largest aphid species. 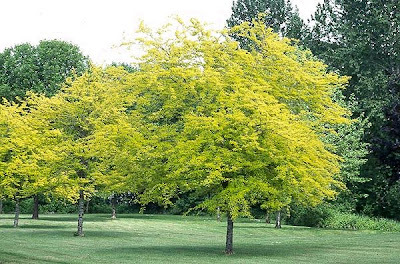 It attacks willow, maple, elm, birch, and several other common shade trees. It feeds on the bark of twigs and small branches. Bees, wasps, and flies are attracted to the honey-dew it excretes. Green Peach Aphid. Pale yellow-green. This species attacks dozens of different hosts including aster, catalpa, crocus, chrysanthemum, dahlia, English ivy, iris, lily, nasturtium, pansy, rose, snapdragon, tulip,and violet, as well as many garden vegetables and some fruit trees. It is capable of transmitting over 100 different plant viruses. Chrysanthemum Aphid. Shiny dark brown with short cornicles. Common and widespread on chrysanthemum where they cause stunted growth and slightly curled leaves. Woolly Alder Aphid. Plump and blue-black, but completely covered with white waxy filaments. 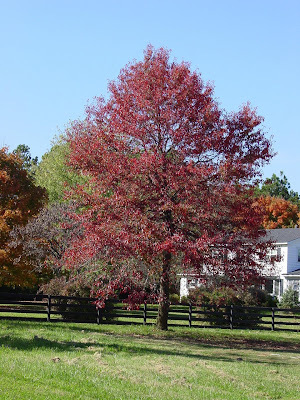 Silver maple is the primary host, but they migrate to alder in mid-summer, then return to silver maple in late fall. This aphid is not particularly injurious to either host, but it becomes a nuisance when waxy filaments accumulate under heavily infested trees. Witchhazel Cone Gall Aphid, Spiny Witchhazel Gall Aphid, and the Elm Cockscomb Gall Aphid. Control: Natural enemies play a very important part in controlling aphid populations. Lady beetles, lacewings, damsel bugs, flower fly maggots, certain parasitic wasps, birds, and fungal diseases all attack aphids. Without them, these pests would be much more destructive. Gardeners should avoid unnecessary use of insecticides which are harmful to beneficial organisms. Gardeners should also strive to keep their plants healthy and growing vigorously. Migrating aphids are attracted to the yellow-green color of unthrifty plants. If an infestation does develop, there are several insecticides registered for aphid control. Check the Virginia Pest Management Guides for current pest control recommendations. These guides are available through your local Extension agent. Always read the label before applying any pesticide. This Law states That The Following Plants Cannot Be Planted, Bought or Sold In Illinois Without A Permit. Certain weeds have been legally declared Noxious by the Illinois legislature. There control is required by law. The Illinois Noxious Weed states that "every person shall control the spread of" and "eradicate all noxious weeds on lands owned or controlled by him in the state of Illinois." "Whenever the owner or person in control of the land on which noxious weeds are present has neglected or failed to control them, the control authority having jurisdiction shall have proper control and eradication methods used on such land, and shall advise the owner,person in control, and record holder of any encumbrance of the cost incurred in connection with such operation. The cost of any such control or eradication shall be the expense of the owner. In addition the person shall be subject to a fine of not more than 100 dollars for the first offense and not more than 200 dollars for each subsequent offence. The weeds that are noxious in Illinois are noted in Table 4.1. The local county weed commissioner can also declare certain weeds as noxious in the county under his or her jurisdiction. *Noxious only within the corporate limits of the cities, villages, and incorporate towns. 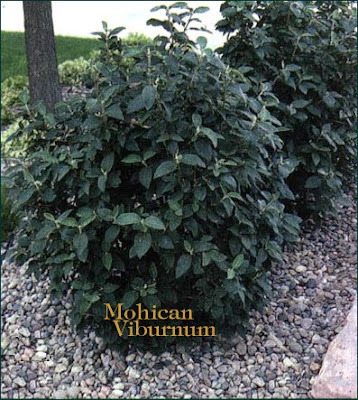 This new release from Bill Radler has the disease resistance of the original Knock Out®, with a similarly dark, attractive foliage, and a slightly more upright habit. A new color in the most popular shrub rose family in North America, Sunny Knock Out® will shine in any garden from Canada to the Gulf. Winter hardy to zone 4. The yellow color will stay stronger during the cooler times of the year. Euphorbia lactea is a cactus-like plant with 3 or 4 angled branches that are deeply scalloped with black spines. It is used medicinally in India as a hot jam to treat rheumatism. All plant parts are considered poisonous, especially the white, milky sap. It is irritating to the skin, eyes and mouth. 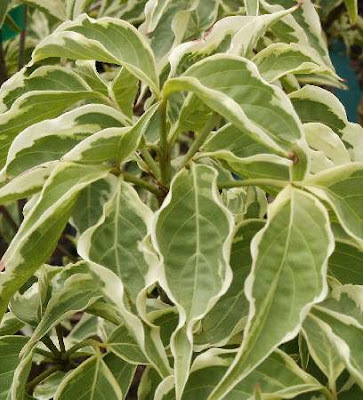 Euphorbia lactea need full sun to partial shade with warm temperatures. We use a soil mix consisting of equal part of loam and sand. The plant should be allowed to dry thoroughly between waterings. In the winter months, water should be restricted to once over the winter. The most common failure in growing this plant is over-watering, especially during the winter months. Euphorbia lactea "Cristata" is an intricately monstrous form with fan-shaped crested branches forming a snaky ridge or crowded cluster. Crest form often needs in grafting. Making the most of your building's "fifth façade"
impacts on the Earth with an integrated, holistic approach. Green Building. Green Architecture. Green Roofs. to ecosystems, and possibly even help heal disturbed landscapes. maximizing the eco-friendliness of the built environment. human desire to connect the built environment with nature. call for improved environmental design. global records began 140 years ago. • Impervious cover has become a signature effect of contemporary land use. are still so prevalent in forestry and agriculture. sewer systems and urgent stormwater management problems. building skin, interior, site location, and overall building design. and physical respite from urban surroundings. starkly with the average inert, hot, barren roof. 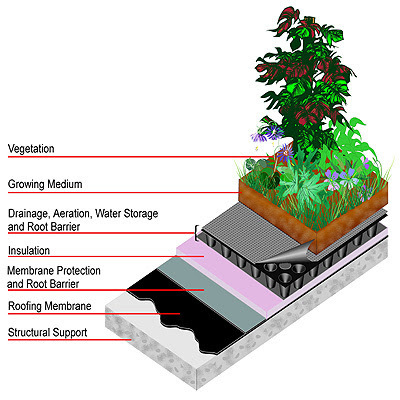 impervious roof surfaces with living, breathing, permeable plant material. Integrated design is essential for delivering a cost-effective green building. doing it for a conventional fee. Imagine looking down from an airplane with a bird’s eye perspective. The roof now blends into the landscape as a naturalistic meadow scene. 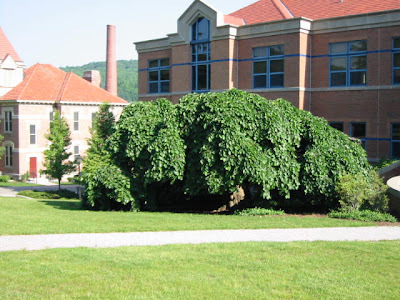 with flowering shrubs, trees, and vegetated spaces. work in tandem to perform correctly. been integrated into the urban fabric. way to connect back to nature. interpretations of roof greening, built between the 8th and 10th centuries B.C. northern United States introduced grass roofs. Greenroofs today can be found throughout Europe and around the world. Canada, and Theodore Osmundson, FASLA, in the United States. lasagna-like assembly with a meadow on top. include waterproofing (single or multi-ply), drainage, soil, and plants. from virtually maintenance free to quite elaborate. requirements. The two designs can also be combined. between extensive and intensive greenroofs. on slopes of up to 30°, although there are greenroofs with 40° slopes. as to deal with wind shear. the designed roof load will support. Depths start at about six inches up to 15 feet. recreation areas where people can interact with nature and with one another. rooftop space by creating active areas for contemplation and play. and photosynthesis, thereby ameliorating the surrounding ecosystem. advantages of greenroofs in more detail. helping to alleviate the pressure on stormwater infrastructure systems. typical of various contemporary land use types. of the storm, depth of media, and plant mass. greenroofs that intercept and delay rainfall runoff and reduce the peak flow rate. long-term savings to building owners and municipalities. Redrawn from Bruce Ferguson's "Introduction to Stormwater: Concept, Purpose, Design," 1998.
greenroof instead of being discharged into groundwater or streams and rivers. fish populations, such as salmon. by the plants and engineered soil medium. 150 to 175°F in the summer. back into the Earth’s atmosphere after sunset as thermal infrared radiation. install greenroofs or reflective roofing. held until rain washes it off into the greenroof soil substrate. the heat island effect doubles the amount of ozone that is produced. corridor or other body of water. located at ground level, they nevertheless can provide some habitat for wildlife. edge, while also serving as a vegetative habitat patch. Such corridors could offer respite for migrating birds and butterflies. above ground in search of food and cover. construction of greenroofs on previously disturbed sites. the opportunity to take advantage of the amenity of greenspace at roof level. damaging ultraviolet rays, wind, and temperature fluctuation extremes. to study each climate individually, using thermodynamic data. penalty if any moisture is at all retained in the soil (and it is). heat transfer model developed by their parent company, Shade Consulting. completely eliminate the need for these elements. square foot of greenroof, to be added to the footprint of the building. reductions of 50 to 80 percent. institutional, multi-family, and single family residential properties. reducing various fees in exchange for greenroof development. Greenroofs can sometimes be used as stormwater mitigation measures. effect in Tokyo, the city's "Tokyo Plan 2000" was implemented on April 1, 2001.
to new and renovated city facilities that are larger than 5,000 square feet. increase with the added value of additional greenspace. sustainable native and naturalized plant communities. planting design mimicked its surroundings. other objectives that help fulfill our need for purpose. the tenets of high-performance building and environmentally preferable design. a concept that sometimes is called "biophilia." flowering meadow) or a dreary grey and black expanse of roofs? employees can increase productivity and lower absenteeism. the health of Earth’s ecology. to offer more detail on greenroof design and related issues. Greenroofs.com. For more information, see www.greenroofs.com. Areas. English Nature Research Report Number 498. Guide to Using Plants on Roofs, Walls and Pavements. as Heat Builds Up. Atlanta Journal Constitution. (2000, May 9). Prepared for the City of Chicago by Roy F.
Weston, Inc. (now Weston Solutions, Inc). Chris Wark, personal communication, November 2004.
at the International Green Roof Congress 2004. Quoted in Dramstad, W.E., Olson, J.D., & Forman, R.T.T. 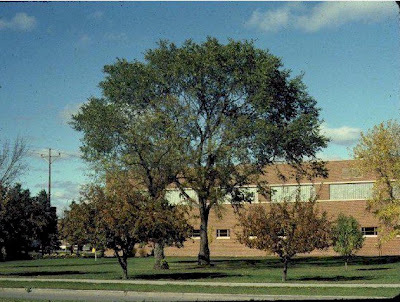 mended because of its susceptibility to Dutch Elm Disease. canopy spread of 74 feet. Bud Color - Smooth, sharp-pointed, and reddish-brown. Bud Size - Lateral buds are small, 1/4 inch long. Leaf Length - 3 to 6 inches. Leaf Width - 2 to 3 inches. Flower Type - Polygamo-monoecious, in fascicles of 3 or 4. Flower Color - Greenish-red to brownish. Fruit Color - Light-green, changing to tan. limbs above, umbrella to vase-shaped. Crown Height - 45 to 65 feet. Crown Width - 30 to 50 feet. but adapts to a wide range of soil types. Soil pH - 5.5 to 8.0. Windbreak Suitability Group - 1, 1K, 3, 4, 4C, 5.
flooding during the growing season. birds and mammals, particularly deer. Wood - Used in fine furniture, boxes, barrels, and crates. Good for firewood, but hard to split. mation, burns, cold sores and wound treatments. because of Dutch Elm Disease. browse damage can be serious on young trees. white flowers larger than ‘Bradford’ or ‘Aristocrat’. Pear together could increase fruit set. Vermiculture, or worm composting, allows you to compost all your food waste faster than you ever imagined, while producing the highest quality compost and fertilizing liquid. Best of all, it's self-contained and nearly odorless! Click Here For More!